Art Aingel came home from work to find a series of emails from his attorney. 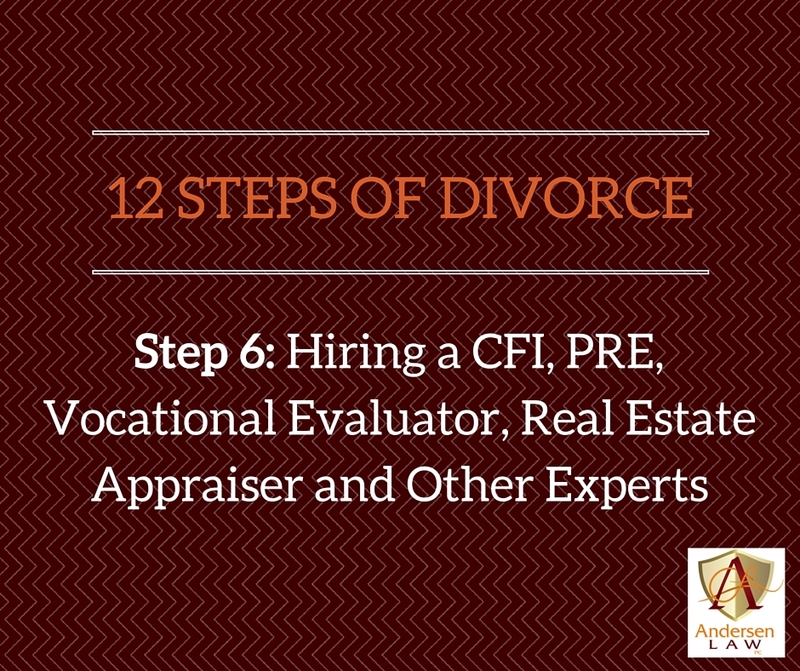 She wanted to know if he was interested in hiring any expert witnesses or professional evaluators for his divorce. He really did not know the answer to that question. All he knew was that he did not want to pay for anything unless it was necessary. Getting divorced reminded him of getting married and buying a house: you knew your life would change, you did not really understand what was happening, and every time you turned around, someone was asking you to write a check. Art called his friend, Draco De Ville, for advice. Draco was also going through a divorce. “Got it,” Art said, thinking to himself, to listen to what Draco says and do the opposite. “What do you mean, Des?” Angela asked with concern. “Hey there, bring me another kombucha, hon,” Desdemona said as she waved over their waiter. Angela tensed up. She knew she was going to have to pay since Des had been overspending again and her legal bills were piling up. “I don’t know,” Angela furrowed her brow. “From everything I read, you should not put the kids in the middle. It causes them terrible stress. You are not supposed to talk to them about the divorce proceedings or bad mouth the other parent. “Why not? That’s half the fun! Getting everyone to hate him; that’s how you win the divorce!” Desdemona exclaimed. Desdemona pouted. “I’m really getting tired of this divorce stuff. It’s a drag.” She wiped her nose with her napkin. Angela wondered if she might have to go through the same thing with her divorce. She made a mental note to do some research on what a CFI or CIF was and if she was going to have to hire one. When Angela got home, she found that the Colorado Judicial Branch website explained that a CFI was a Child Family Investigator that could be appointed by the court to make a determination about what was in the best interests of the child when the parents could not agree on parenting time or decision making. 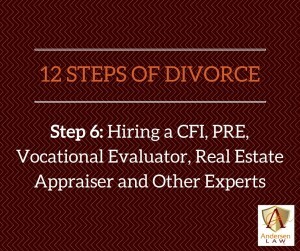 The CFI was usually a licensed attorney or mental health professional with knowledge of child development. Curious, she picked up the phone and called her attorney, asking if they needed to have a CFI. Not necessarily, the attorney explained. If the parties could come to agreements without one, they were free to do so. After hearing this, Angela was grateful that she and Art had been able to agree on how they would handle parenting. Neither one of them wanted to make things any harder on the children than was necessary and had worked really hard at reaching a compromise they could both live with. Angela even called Art that night to tell him how glad she was that they were working together on this, unlike the DeVilles. “That’s terrible. Why is Draco doing this? Does he really think Des is such a bad mother?” Angela asked in disbelief. “Of course not! His attitude is basically just to make Des pay, both psychologically and financially. It’s so dumb of him since he’s going to have to pay half of any bills they run up. But he thinks he can just dodge the bills when they come in,” Art said with disgust. Angela was in the midst of agreeing when Art said, “That’s work on my phone,” and hung up on her mid-sentence. He always did that and Angela always hated it. His behavior reminded her of why they were going their separate ways. “So the Vocational Evaluator can look at your situation and tell you what you’ll potentially earn when you go back to work?” Angela asked. “Yeah, if I go back to work. You know I mostly did modeling and I’m a little old to model now, even though I still look great. But it might cost me more in child care and expenses than I could earn.” Des said with a smirk. “I know you were a model before, but you’ve been successful in your real estate career for the past few years.” Angela pointed out. “I fired Sam and my new lawyer says I should just say that’s a hobby and not tell the Evaluator how much I make. I don’t really want to work anymore. I need time to work out or I’ll get fat and lose Danny! Plus, my therapist wants to see me twice a week. I’m just really busy,” Des sighed. Draco being able to take a lower paying job didn’t seem right to Angela. She wondered if she was going to have to do some more research on whether she needed to hire a Vocational Evaluator for herself or Art. Art made good money and she didn’t think he would try to shirk his financial responsibilities, but she wanted to make sure she was doing everything she was supposed to be doing. A quick email to her attorney clarified that the Aingels would not likely need Vocational Evaluators as long as they both were employed full time in their respective fields.